The College de-recognized Beta Theta Pi fraternity in 1996, which went local as Beta Alpha Omega in 2008. With Dartmouth’s male history, it is easy to think that block rushing traces back to times of black and white photographs. However, English professor James Dobson, who teaches English 55.12, “Dartmouth Fictions,” in which students analyze the College’s history through literature, explained that block rushing is a relatively recent phenomena. Dobson explained that people probably didn’t attribute major stereotypes to Greek organizations until sometime after World War II. Dobson’s point about “fit” seems to resonate with what current fraternity brothers have to say about rushing. However, just because the opportunity for block rushing exists at every fraternity doesn’t mean block rushing will always occur. Nowadays, some fraternities are maintaining a sustained effort to keep their fraternities diversified in sports and other extracurricular activities. Benjamin Adler ’18, a brother of Beta Alpha Omega fraterity, thinks Beta is open-minded in evaluating prospective brothers. This variety isn’t limited to Beta. As Adler, a lightweight rower, recalls, for the Class of 2018, the lightweight rowers did not block rush Chi Gamma Epsilon fraternity, as was expected. According to Adler, lightweight rowers in the class of 2018 are spread across fraternities like Alpha Chi Alpha, Beta, Chi Gam and Sigma Alpha Epsilon — not to forget that there are also rowers who choose to be unaffiliated with the Greek system. Adler remembers how he considered rushing Chi Gam, but knew he wanted something different and rushed Beta. Despite being in a different fraternity than most of the other lightweight rowers, Adler still feels welcome and comfortable in his team. As with many, if not all, organizations on campus, deciding to rush a certain house does not necessarily interfere with one’s relationships outside of Greek life. And such is the reason why breaking away from patterns of block rushing have occurred in present times without consequence. Junfei Yu ’19, brother at Sigma Nu fraternity, also sees plenty of diversity in his fraternity. Even so, Yu further expands the concept of block rushing to recognize that there are advantages and disadvantages to the block rushing process. To Yu, whether block rushing is beneficial depends on whether or not one is part of the group doing the block rush. Block rushing is not so much a crooked process as it is teammates building a supportive network. Most people who have been on a team understand the importance of sticking together and fostering close ties; Yu understands this from playing basketball in high school. Fraternities that center around a specific sport understand this too. During the rush period, the concept of block rushing is not on all students’ minds as they decide which fraternity to rush. Rather, it simply occurs from the desire to connect with already well-established friendships. What Yu and Adler both agree on is that block rushing is not a controlling factor in the Greek system. 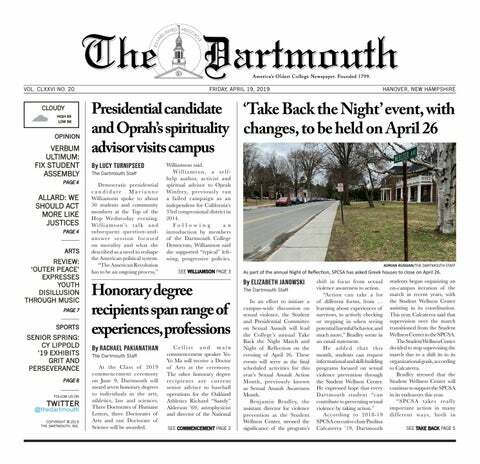 When block rushes occur at Dartmouth, the relationships between each group member should not be ignored. It is a driving factor and not so different from why any student rushes a fraternity that houses familiar friends and acquaintances. “I think at the end of the day, the decision of where you rush is something that is controlled far more by the people who are rushing and less by the systematic — if there are any systematic — norms or trends or histories,” Adler said.